A partnership between The Caterer and employee engagement experts Purple Cubed, proudly sponsored by Umbrella Training. Entries are now open for the Best Places to Work in Hospitality 2019 awards which recognise the Top 30 operators in the sector. The awards shine a spotlight on those who demonstrate exceptional skill at employee engagement, which promotes a happy, motivated – and in turn productive – workforce. Those entering not only benefit from all the insight from our unique employee survey, but will also feature in the Top 30 hospitality employers list, which sets a businesses apart as an employer of choice, and gain a free place at the People Summit 2019. What’s more, high achievers will also be in with a chance to be shortlisted for the 'Best Employer Catey'. 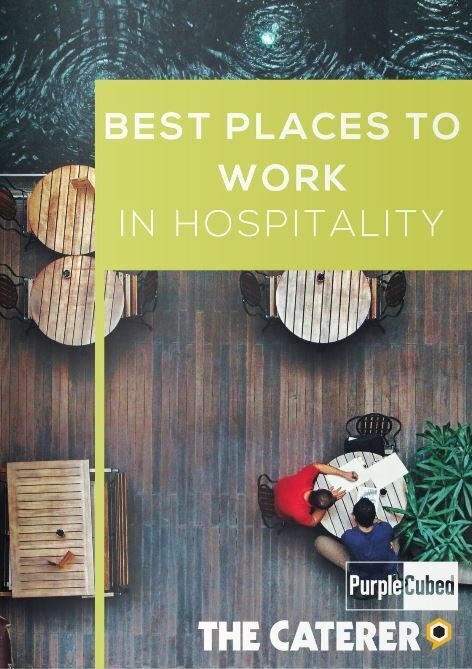 If you want to be considered one of the Best Places to Work in Hospitality 2019 enter today. Click below to find out more about the benefits of entering your organisation by reading our quick guide.